Hello beautiful readers! I hope your day is going great so far! Today is a great day in the polish world because Adina, the lovely creator of the a-england polishes, has announced the greatest sale ever. All polishes from the Mythicals collection are 5₤ for the next 5 days, so hurry and get yours from the website! I've already placed my order this morning and got Elaine, Guinevere, Galahad and Avalon to join Tristam and Excalibur, that are already in my stash. And shipping is free worldwide. 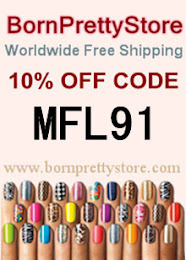 So hurry because I'm sure some of the polishes will run out! 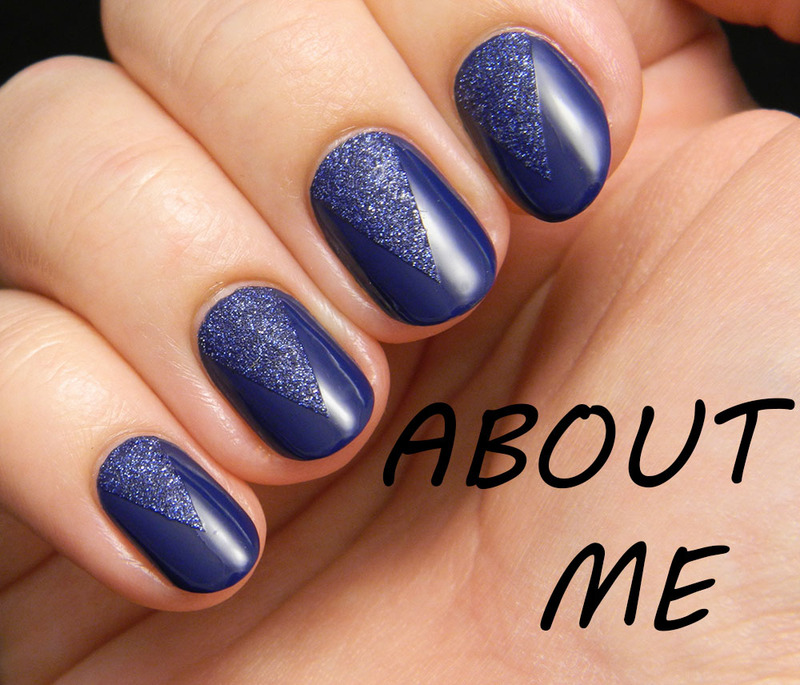 Today's post is about another British brand, namely Barry M. This is one of the new glitters they have and I've layered it over Cyan Blue. 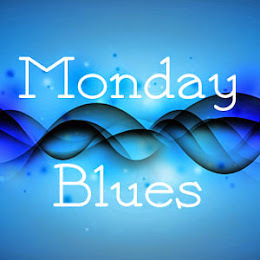 If you missed my Monday Blues post about this beautiful blue, you can check it out here. Aqua Glitter is made out of tiny glitter that is greener and some larger hex glitter particles that are lighter and turquoise, all suspended in a clear base. It's more of a layering glitter from my point of view, but you can probably get it opaque in 3-4 coats. I did one thicker coat for these swatches. The main argument that made me get this polish was the fact that it's supposed to be a dupe for Nails Inc Fitzroy Square, a glitter that has been on my wishlist for a long while. This is only 3₤ (compared to the 11₤ you have to pay for the Nails Inc), plus I'm not sure Fitzroy Square is available anymore. The glitter is really easy to apply because the base makes it spread nicely on the nails, without sticking to the brush like some other glitters do. You get nice coverage with one coat, but getting it opaque is a little problematic because of the small size of the glitter particles. It dries to a gritty finish and is a very hungry glitter. The swatches are with only one coat of Seche Vite and the grittiness was back after it dried, so it needed at least one more coat. In my opinion this polish is a must have and Barry M really outdid themselves with this one. I can't wait to try more of their glitters. I also have two more Barry M polishes to show you in the following week and I'm so excited, especially about the amazing Denim. So stay tuned! I love this glitter! 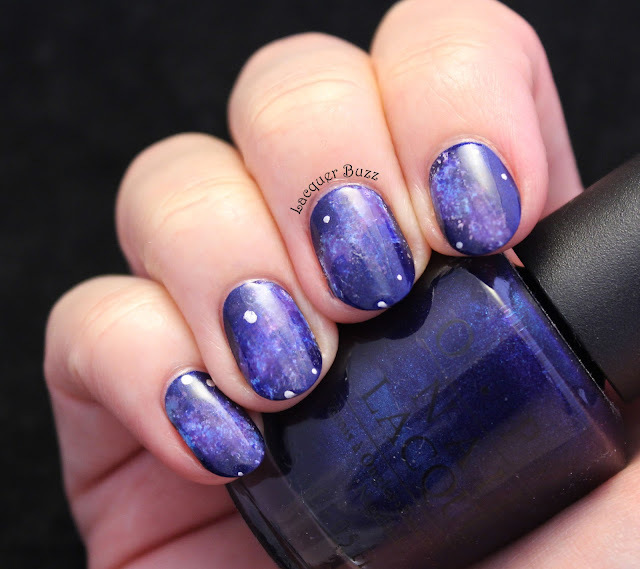 I need to get my hands on some Barry M polishes, I don't have any but keep seeing so many awesome polishes from them. blue and glitter!!! weee!!! never tried Barry M, I think it's time... thanks for letting us know about a-England!!! I got 3 bottles in my cart already!!! I'm always happy to help a fellow nail addict out hehe. You should try them! Asos.com has free worldwide shipping and has a lot of Barry M.
They are awesome and this glitter is amazing! It's a must in every nail polish collection! Thank you so much for your kind words! I think it would look great over a black polish because the base in which the glitter is suspended in is clear. So it also makes for a great layering polish.